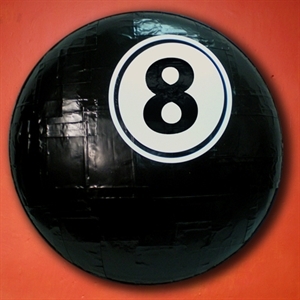 A great addition to any billiards, game room or family room, the 8-ball is a true conversation piece. Constructed from aluminum sheet metal and a repurposed snow saucer. Comes ready to hang. 26” diameter x 4” deep.